This workshop will discuss various approaches to fruit tree pruning. 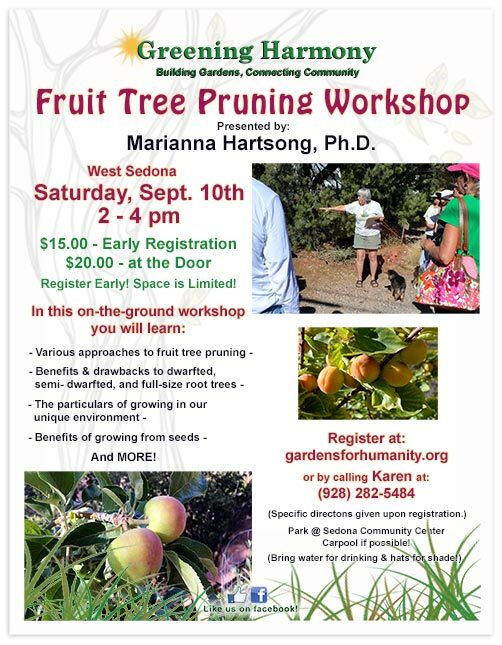 It will also be an on-the-ground learning for what works and what does not work growing fruit trees in Sedona, AZ. 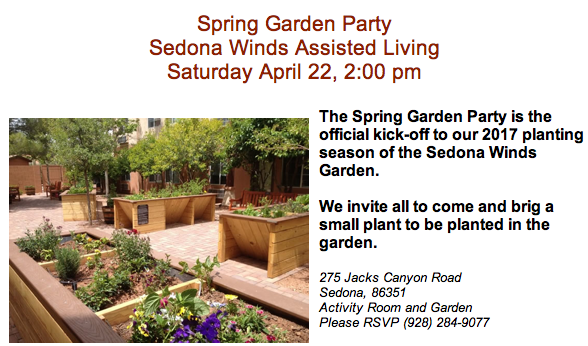 The Spring Garden Party is the official kick-off to the 2016 planting season at Sedona Winds Assisted Living. 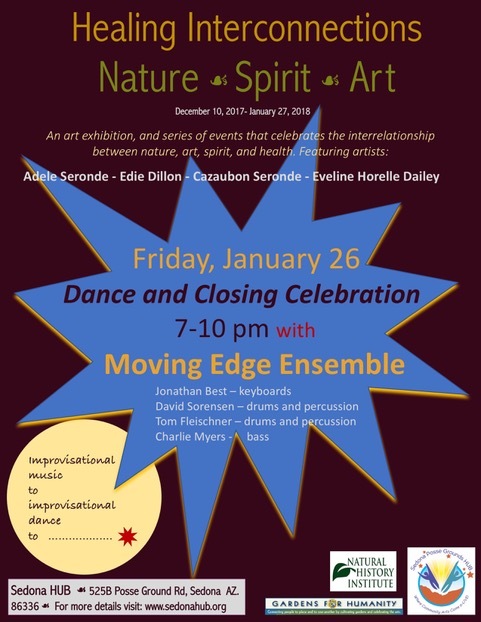 On January 10th at 5 pm the Healing Interconnections: Nature, Spirit, Art exhibition offers an evening of poetry and music. 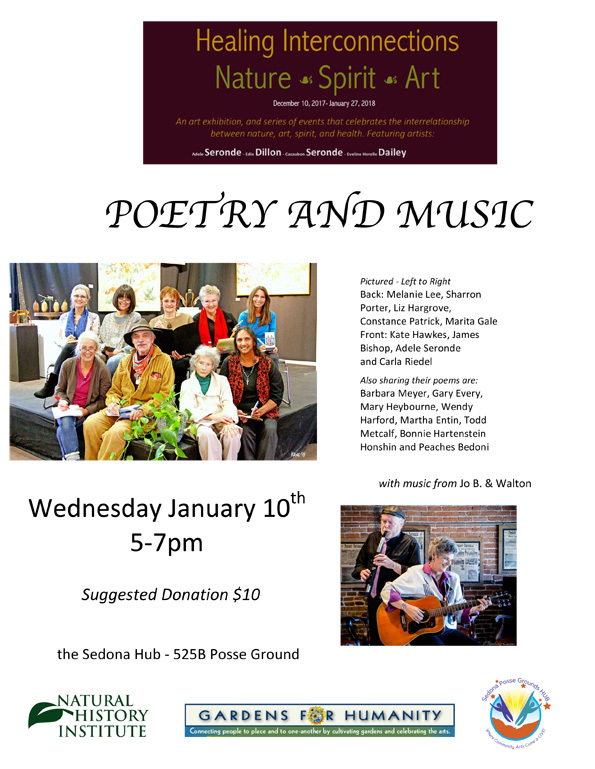 Inspired by the theme - exploring and celebrating the interrelationship between nature, art, spirit and health with images, words and music -16 poets will read their original words at the Sedona Hub. Musicians Jo B. & Walton (Jo Berger and Walton Mendelson) will provide live music throughout the evening. Join us and share the stories of exceptional transformation through cultivation a closeness to Nature. These will uplift, give hope and increase connection with our heritage and the natural world. 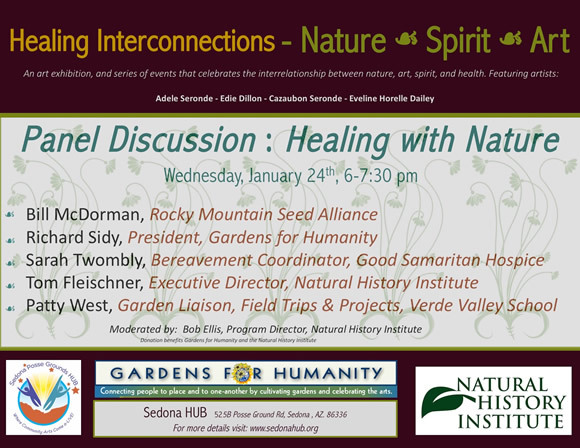 Join us for the closing celebration of the month-long exhibit and events "Healing Interconnections - Nature - Spirit - Art." Share a special moment in joy and spontaneity - celebrate Nature, Spirit and Art with us! Growing Creativity – It’s a Process! 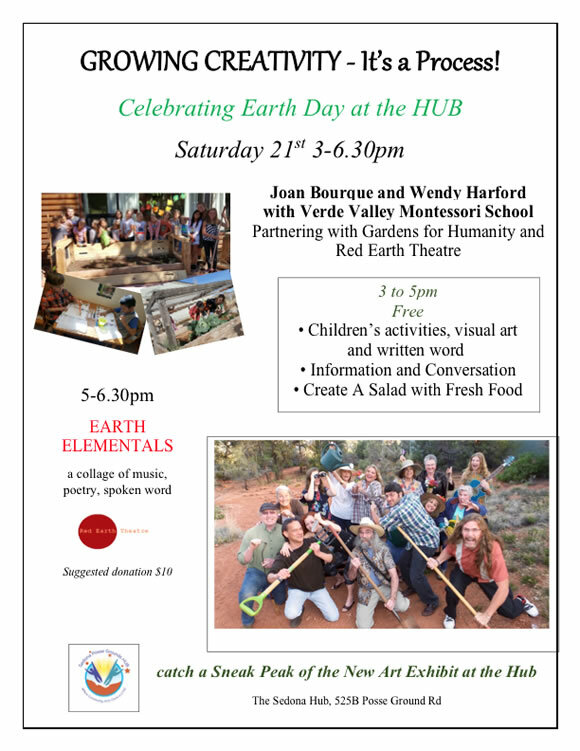 Saturday, April 21, Noon to 5pm − “Growing Creativity – It’s a Process!” with artists - Joan Bourque and Wendy Harford Working with Verde Valley Montessori School and Gardens for Humanity School Gardens and ‘Celebrating the Art in Earth’ – Art and Environmental education program. Trees, Bees, and Solar Cookies! 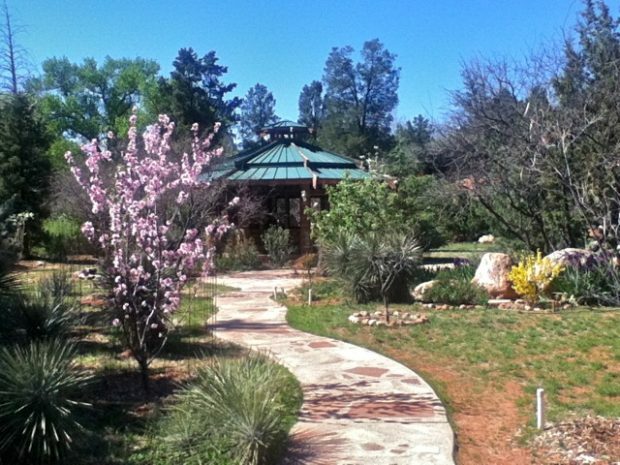 SUNDAY, APRIL 22 – EARTH DAY AT THE PEACE GARDEN, NOON-3PM: On Earth Day we will have a family friendly event at the Peace Garden at the Creative Life Center that we are calling “Trees, Bees and Solar Cookies.” Our event will have nature and “five senses” scavenger hunts for children, a local beekeeper and bee teacher, and an opportunity for participants to help build a solar oven and to taste cookies baked by the sun. 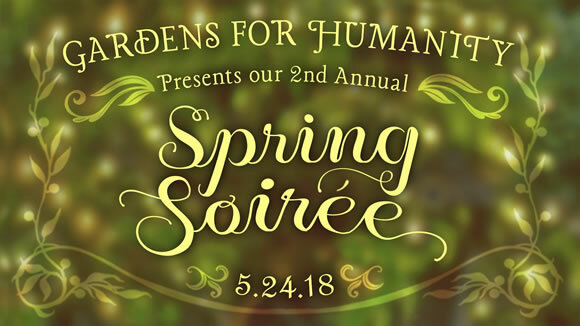 Join us for a lovely evening of food, music, art benefiting Gardens for Humanity with food and beverages provided by ChocolaTree Organic Eatery. 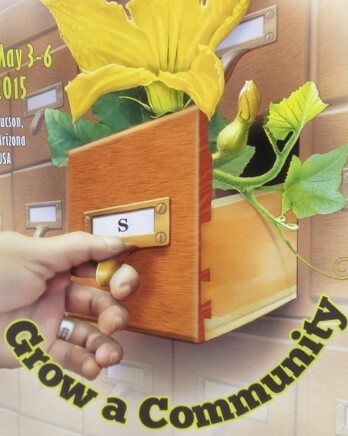 The seed library, called the "Verde Valley Seed Library" will open its doors at the Cottonwood Public Library on February 2, for Spring planting, serving communities in the Verde Valley.